While you’re sorting through the ups and downs of the election results, we want to make sure you know that Tuesday night was a huge success for health care! 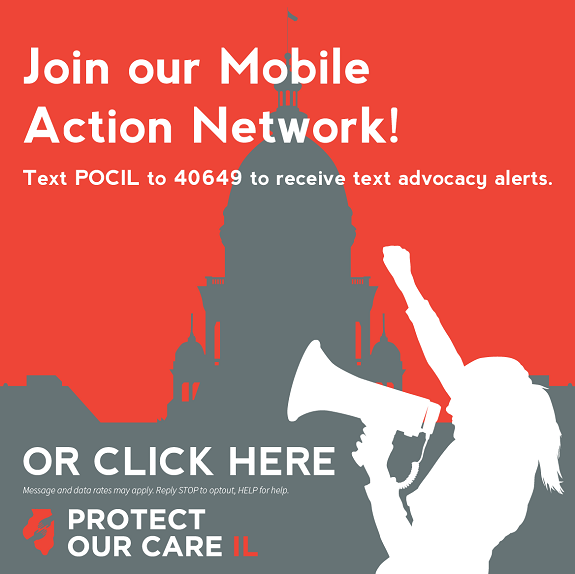 In numerous Illinois races – from the Governor’s mansion to the statehouse to Congressional districts – voters made clear that healthcare was a priority by voting for pro-health care candidates and against candidates who have opposed healthcare. At the federal level, voters in Idaho, Utah, and Nebraska approved ballot measures to expand Medicaid to cover uninsured low-wage adults while Maine and Kansas elected governors who are expected to pass Medicaid expansion. As exit polls demonstrated, health care was the wave in this election. With the Democrats taking control of the U.S. House as of January 2019, legislation to slash Medicaid or end protections for pre-existing conditions will be stopped dead in its tracks. We celebrate the Herculean efforts of our grassroots partners and organizers across the state: YOU made it crystal clear that voters in Illinois and our nation have had enough of the war on healthcare. While we applaud Tuesday’s healthcare results, we know there is plenty of work to be done to mobilize the energy, passion, and the moment of opportunity created by this election. Public consensus and support for the Affordable Care Act and Medicaid has never been higher. However, the electorate wants a continued commitment to not only safeguard their healthcare, but improve it — making it more affordable, and available to more people. So, what’s next in Illinois? 1) Help regulate short term health insurance plans in Illinois and #StopJunkInsurance! Reach out to your IL House and Senate members during veto session for the Illinois General Assembly beginning November 13th to help secure a YES Vote. Sign up to take an assignment or help out in other ways. 3) Get the word out that the deadline to sign up for health insurance in the 2019 Marketplace is Dec. 15th. Free, local help is still available around the state, thanks to dedicated assisters who help Illinoisans sign up for insurance. Last year, 8 out of 10 people got help paying for their health plan in the Marketplace. Spread the word with these outreach materials in 7 different languages! We encourage you to celebrate the health care progress that we witnessed this week — and then get ready to keep fighting! Together we can win.